Alice Springs to Kings Canyon tour highlights include Kata Tjuta and the Walpa Gorge, the West MacDonnell Ranges, travel to Uluru and view the beautiful Sunset whilst enjoying a glass of complimentary wine. 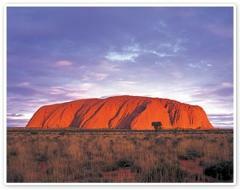 Departs from Alice Springs & ends in Ayers Rock (Uluru). Not: As this Short Break departs at 7.00am, accommodation will need to be pre-booked for the previous night.